How do I set up the email client in ProMax? We can set up your email in ProMax, but we will need the information that is highlighted in yellow below. ProMax can use POP3 or IMAP settings. If you use POP3 settings, ProMax will automatically delete the email off the server making you unable to receive the email on other devices (phones, laptop, etc.) If you want your email to be received in multiple locations you will need to use IMAP settings. You will need to contact your email provider/email host for this information before email can be sent or received in ProMax. Should I use IMAP or POP3 Settings? You should use IMAP settings in ProMax when a user is receiving emails on multiple devices (phone, laptop, iPad, etc.) You should use POP3 settings when they are receiving their email only in ProMax. If you use IMAP settings on multiple devices, the email will never be deleted off the server, which will cause the user’s email to become full and unusable. One of their devices needs to be deleting the email off the server. IMAP Settings in ProMax and 3rd party clients (e.g. Outlook, etc.) leave the email on the server. POP3 Settings in ProMax and some 3rd party clients delete email from the server. 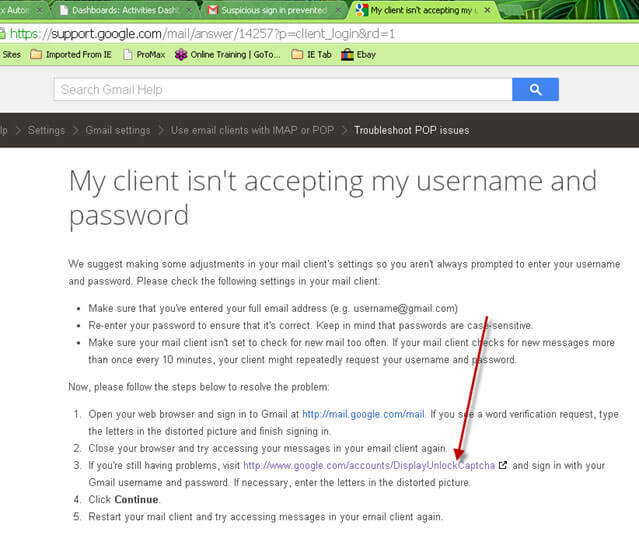 Some 3rd party clients have a setting to leave the email on the server for a certain number of days. Outlook, for example, has this setting. How do I set up Gmail in ProMax? Log in to your ProMax site and click on the Gold Envelope icon to access your Email inbox. Click on the Gear on the top right hand side to access Email Configuration. Once you complete these steps, it will allow Gmail messages to be sent through ProMax. I received a “Hard Bounce” error. What does that mean? A “Hard Bounce” is an email that was sent and bounced back from the receiving server because that email account does not exist on that server/domain. 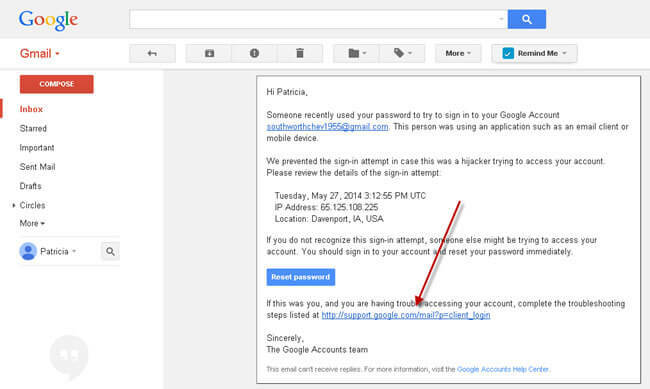 For example, if you were to send an email to test@gmail.com and that account did not exist, Gmail would then reply to you stating that the email account does not exist on that domain or the Gmail servers. Opening that email will provide you with the reason. ProMax will unsubscribe any email address entered in a customer workscreen that has received a message back stating that the email associated with that customer does not exist. Any email address that is unsubscribed will have a note added stating “Unsubscribed due to hard bounce detection”. 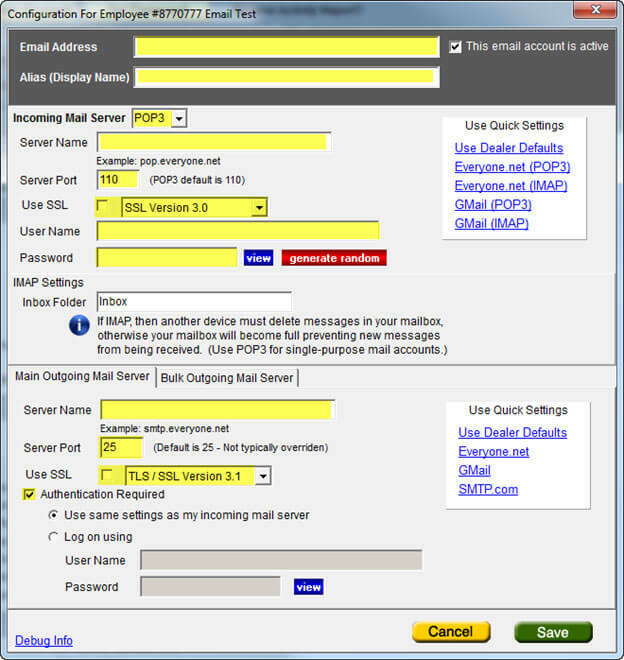 What is the difference with the “Main Outgoing Server” and the “Bulk Outgoing Mail Server”? The Bulk Outgoing Mail Server is used for all “Bulk” type of emails. This includes emails sent from the Daily Workplan, and Email Campaigns. A separate subscription is required for a Bulk Email service. Please contact your ProMax Account Manager for additional information. Can I use an Exchange Server Email Account? ProMax email does not support the use of an Exchange account unless the Exchange Server is set to either POP3 or IMAP. The Exchange server must be set to leave a copy on the server as you cannot set that requirement within ProMax.